Pulstar® spark plugs use innovative plasma-assisted combustion technology to generate more horsepower, more torque, and quicker throttle response. Pulstar features an internal capacitor, developed with the help of a US Department of Energy laboratory, to store energy that creates a high-intensity electrical pulse when released. This pulse saturates the fuel with combustion-enhancing plasma, ensuring instant ignition and a rapid burn. Instant ignition and a more complete burn means your vehicle responds quickly. You’ll really feel the difference when pulling away from a stop. Pulstar’s rapid burn creates higher peak pressure on the piston; applying more torque on the crank shaft, resulting in more power to your wheels. Burning more fuel during the power stroke means you get the most power from your fuel. Laboratory and dyno testing has repeatedly shown gains in horsepower. 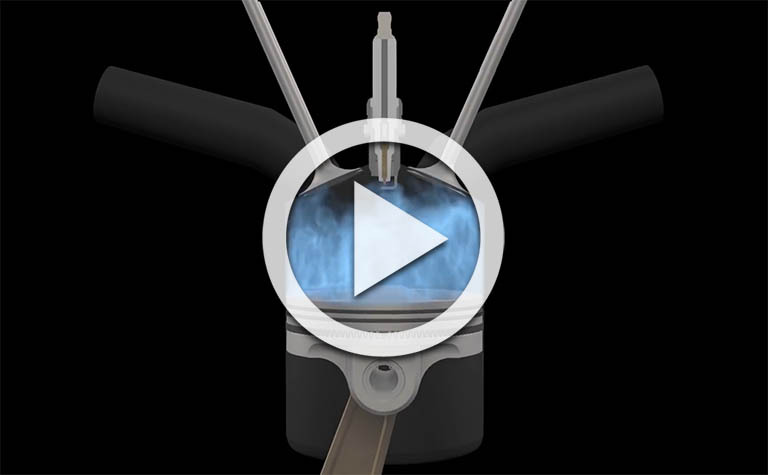 Pulstar burns fuel efficiently, ensuring it isn’t wasted. Whether you see an improvement in power, fuel economy, or both depends on how you drive. These Plugs Rock My Face Off! Just installed a set of Pulstar Spark Plugs on my Harley Davidson FLTRU... MUCH smoother ride and a noticeable increase in HP/Accel! WOW! What a vast improvement! The car is much more "lively" gas pedal response is much "quicker"! The car seems to have much more torque and pulling power. I shall now only use your product. I race my 2010 V6 Camaro in local and national autocross events against V8s with 100-200 more horsepower, so I need all the extra power I can get... Pulstar spark plugs give me noticeably more power and torque. The truck ran great before and is a real beast now. I will keep an eye out for gas mileage increase. The torque increase was noticeable immediately. Immediately I noticed a difference in the RPM and the smoothness. The mileage increased by 2 miles per gallon…when running a Roush 342R at 450 horsepower and 420 foot pounds, it's a lot. Before installation, the MPG indicator would show about 28-32 MPG...After installing the Pulstar plugs the MPG is now 36-38. In addition, the transmission shifting points are noticeably smoother.